Aimee Hughes has been writing for magazines and online publications since 2005. Her articles have appeared in national and international publications, including "The South China Morning Post" and "Reader's Digest Canada." Hughes holds a Bachelor of Arts in French from Tulane University and a Doctor of Naturopathy from Clayton College of Natural Health. Is Whey Protein Useless Without Digestive Enzymes? A myriad of protein supplements, typically in powdered form, exist on the market. They are valuable nutritional supplements for vegetarians and omnivores alike, transforming simple juices and smoothies into full-fledged meals. Most protein powders contain soy, whey, casein and egg, unsuitable for vegans and others with certain health restrictions. Pea protein is an animal-free supplement made from extracting the soluble pea protein from yellow split peas. Yellow split peas are born of the legume plant Pisum sativum. Cultivated for food since 6,000 B.C., they have long provided people with a low-cost, nutrient-rich form of plant protein, necessary for good health. Many nutritional companies make pea protein powder derived from pea flour, which is dried and then hydrated. According to Mercola.com, a purveyor of pea protein powder, it is also environmentally friendly because there is no need to use nitrogen-rich fertilizers in the overall harvesting process. Pea protein is entirely plant-based. This means it contains absolutely no animal products or animal byproducts. It is low in fat and carbohydrates and free of soy, gluten and lactose. These attributes deem pea protein suitable for those who suffer from food allergies and food sensitivities. Pea protein has a high biological value, meaning your body absorbs it easily. Pea protein also provides the body with a substantial supply of beneficial amino acids. Pea protein delivers large amounts of the essential branched-chain amino acids isoleucine, valine, arginine and lysine. Consuming pea protein after a hard workout could prove beneficial as a means of restoring muscle mass. According to Medical News Today, research from Canada found that pea protein powder may help help reduce hypertension and chronic kidney disease. Researchers extracted pea protein hydrolysate from the yellow pea and fed a small dose each day to lab rats bred to have polycystic kidney disease. After eight weeks, these rats showed a 20 percent drop in blood pressure. 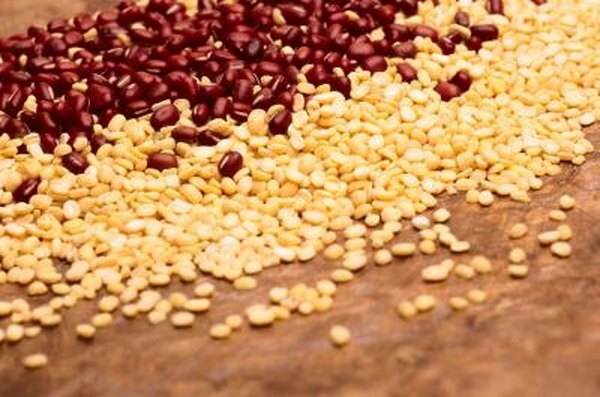 Dr. Rotimi Aluko, the study's head researcher, said that eating the yellow peas in their natural state would not produce the same benefits as the extracted pea protein, which can only be activated with special enzymes.